1. Are you receiving unstyled email ? This is another utility WooCommerce uses before sending the email. The purpose of the utility is to break the email content into multiple lines by inserting a new line character (\n ). The default column limit is 70. This is good. But this sometimes would break your CSS style. Let us see an example. Check the following HTML snippet. This would break the style. 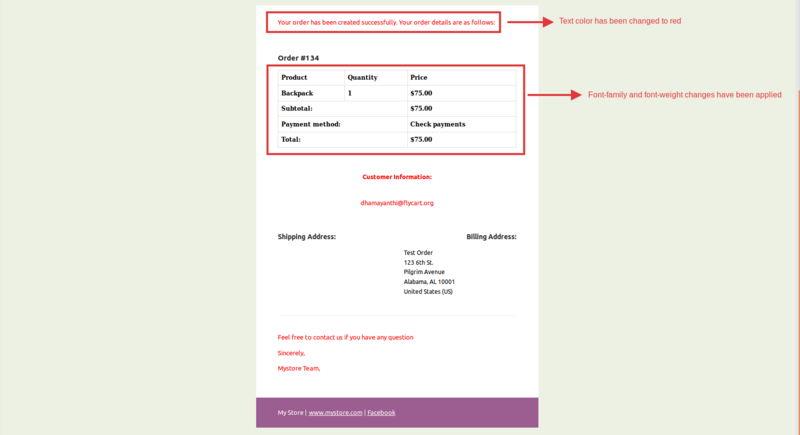 NOTE: Unfortunately, WooCommerce does not have any hooks running before / during / after the wordwrap method. 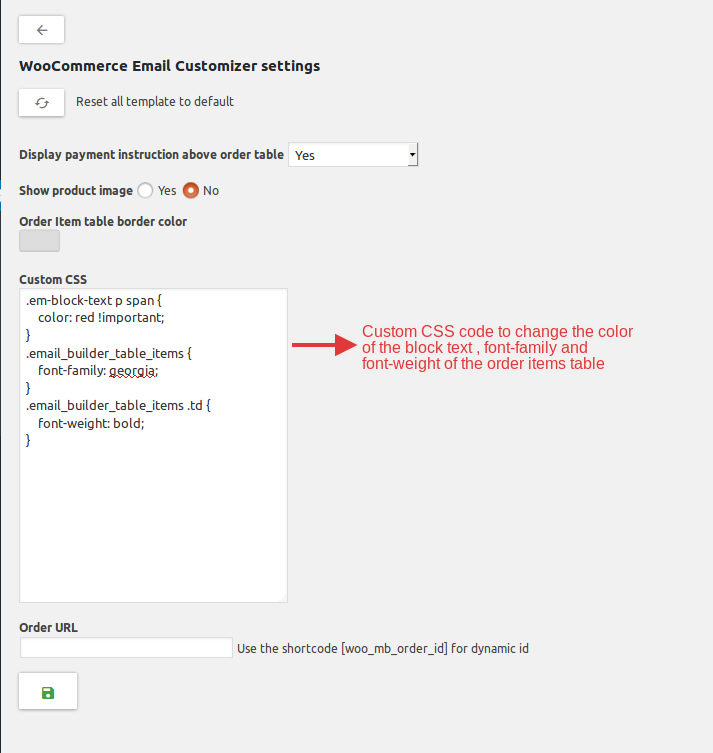 So the fix has to be made to the WooCommerce email helper to correct this behavior. 2. How to create a template override for order items table ? 3. Are you receiving default email instead of the email template created inside our plugin ? It is because, you might be having multiple languages in your site but have not created the email template for all the languages. For example: You are having following such languages in your site (English, German, French) and created the email templates only for the language English. If customer places an order using the language French, then he will receive the default email because there is no email template for the language French. 4. Don't get the email template to edit after selecting language, email and order and it keeps showing loading..? The issue was due to the following definition added in the wp-config.php file. You can now be able to edit the email templates and save. 5. Wish to customize the layout of the email? 6. How to copy a template to another? 7. How to revert back to the default email template? 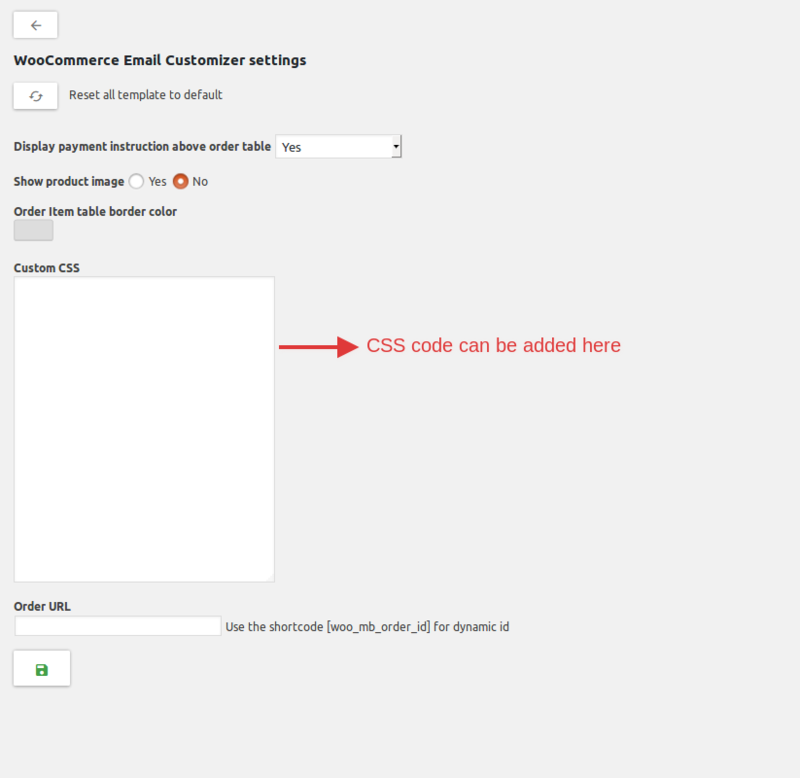 Navigate to WooCommerce->WooCommerce Email Builder->Settings->Reset all template to default. Once you click on the revert icon, you will be prompted with a confirmation message. The option to be selected is "YES, I'M SURE". After clicking the option, a success message will appear that confirms the reversion. And that is it. You have now reverted back to the default email templates. 8. Are you struggling with customizing email templates ? If you are working on "Safari" browser, please try using Email customizer on either chrome or firefox browser.